Business View Magazine interviews Eric Hinckley, Senior Vice President & CTO of Main Street Power, as part of our Best Practices in Energy & Mining series. Main Street Power provides, affordable, long-term energy options. 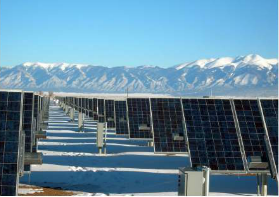 The Main Street Power Company owns and operates more than 50 megawatts of solar systems throughout North America and Canada, with many more in various stages of development. Whether a residential property, facilities within a school district or university or a municipal building, Main Street Power’s combined capacity powers more than 1,000 properties. The company is the owner and operator of these solar systems and specializes in providing clean solar power at a discount from traditional electricity. It was created through an affiliation with the International Center for Appropriate and Sustainable Technologies and solar developer Peak Solar. 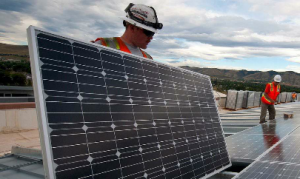 ICAST serves as an advocate for alternative energy solutions and is dedicated to providing green job training services that cater to disadvantaged communities. 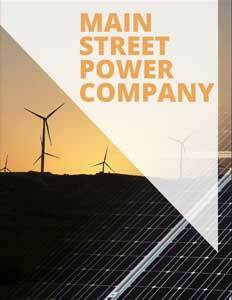 Main Street Power began a financial partnership with MS Solar Solutions Corp., an affiliate of Morgan Stanley. The alliances have been essential to Main Street Power’s expansion and have enabled the company to provide clean energy resources, economic solutions and social empowerment to its customers. The company is also seeking to enter the international marketplace for new opportunities. The company comes to the table with financing and the expertise to handle all aspects of development, asset management and operational maintenance. All projects are contracted through a power purchase agreement or residential lease structure and as a third-party participant, it is able to take advantage of a significant government tax credit. The installation is comprised of 22,000 solar panels on 40 acres and is recognized among the largest installations of its kind. AWC is expected to save substantially over the life of the power purchase agreement and Main Street Power owns and will maintain systems for the life of the deal. “It speaks volumes that private business and public entities are committed to reducing their carbon footprint, and the benefits to educational institutions especially accumulate as they gain understanding and can appropriately budget for future power needs,” Hinckley said. CO2 emissions are offset by what is equivalent to any of the following over a one-year period: 811,643 gallons of gas consumed, 16,837 barrels of oil consumed or the electricity consumed by 879 households. The power output also equates to the amount of carbon sequestered annually from more than 72 acres of woodland preserved from deforestation. Main Street Power uses its installations to educate the next generation of installers and engineers. Its K-12 solar science curriculum provides extra training for teachers and hands-on lessons for students. Kids become more connected with science concepts and get excited about learning. University and college students receive an installation training program developed by ICAST to teach young adults the specifics of the engineering and construction fields. “Having worked on three school districts and two higher learning campuses, we’ve been able to save schools and universities hundreds of thousands of dollars, which ultimately benefits students and teachers the most,” Hinckley said. WHO: Main Street Power Co.